Technically, we've never talked about Google Keep, because it's new-ish (actually two years old)! But we have talked about other ways to keep track of To-Do Lists like this post from Vicki in 2012 about Evernote. A lot of people still use Evernote to write notes and to-do lists and it's still a great option. I'd argue that Evernote is more robust, but I am a digital simplistic person, and I like minimal applications to organize my life. 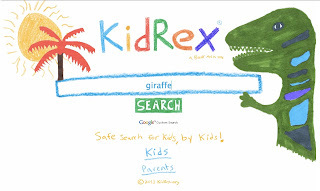 I first blogged about KidRex in this post from May of 2013. It's still a good resource for elementary students to use to search for information. Now that all our elementary students are 1:1, it's more important than ever that we're teaching them how to search as safely as possible. You'll never hear me call a search site "safe". Even the most kid friendly of search sites are always going to just be "safer". We still have to teach students how to use these sites appropriately. 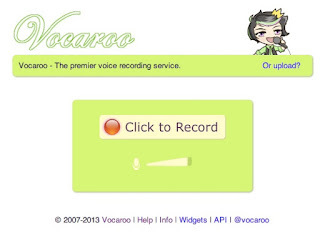 Over 3 years ago, Amy wrote about how easy it is to record audio via the vocaroo website on any web browser on a computer. It still is very easy! Check out that post if you want to learn more. Another great audio recording option is Voice Record Pro on the iPad. Not only does it record easily, but once you hit "stop," it gives you the option to upload to Google Drive! 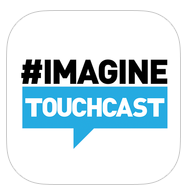 Students can use this to record any kind of audio, for something different in your classroom. Have them make a podcast teaching something they've learned to a younger grade, or interviewing each other, or reading a story they wrote, or performing a dramatic reading! For middle school or high school using Chromebooks or Dell laptops, Beautiful Audio Editor is a great option for students to record and edit audio. Once exported, students can easily upload to Google Drive or post to their blog.